In commencing the Proceedings of our 11th Clergy-Laity Congress, we first of all offer a heartfelt doxology to God who is praised in Trinity, for enabling us all to meet together once again, in order to make a common evaluation and analysis of our Church matters in general. Following this, we greet and welcome the Representatives (both Clergy and Laity) of our Parish-Communities throughout Australia – and above all His Eminence, our Brother and Representative of the Ecumenical Patriarchate – together with the Official Guests at this Clergy-Laity Congress, while thanking all and wishing you a pleasant stay and participation in the Proceedings as well as in the related functions. We should note that the delay of one year with which this Clergy-Laity Congress is being held is due to the known difficulties that faced the health of the speaker which, by God’s grace, have been overcome to the point that allows us fortunately to continue our blessed collaboration without hindrance. Once again, a Biblical verse has been chosen as our theme, and this year’s one, from the Epistle to the Hebrews, was selected both as a ‘wake-up call’ to deal with the great responsibility and arduous work of the Congress, as well as a highly indicative expression of the means available to all of us, to conduct the sacred struggle that the Church undertakes at all times in the world to fulfill its divine purpose. For, as one can appreciate, holy enthusiasm to act is not enough. Rather, before and all else, is the realisation of the astounding fact that the task of the Church is always conducted with direct reference to God the Word Incarnate, Who not only inspires as “Author”, but also completes each task as “Perfecter”. This is the very reason for which the Fathers of the early Church did not hesitate to use the fitting description of the Church as “Christ prolonged throughout the ages” (Christus prolongatus). We need however to observe straightaway that both “faith” and “endurance” are not mentioned here generally and vaguely, as two powers of the soul according to the current notion of the “inner psyche” of the secular person. Faith in Jesus Christ, as the one who inspires and at the same time blesses the struggling person, equates to unceasing prayer. And we know that such faith is even able to “move mountains” (1 Cor. 13:2). The “endurance” of our Biblical passage cannot be considered as a kind of tolerance or passive stance vis-à-vis the harsh conditions of this life, but in fact as the complete opposite of this. “Endurance” literally means the unwavering decision of the struggler to continue to fight the good fight, under any conditions, remaining firm and unshakeable, and this because he or she knows that time works in one’s favour. The Monks of Mt Athos have recognised the intense dynamism of “endurance” in an entirely experiential way, stating for this reason that they need “many endurances” throughout all their efforts and spiritual struggles! With this vital addition, it becomes clear that the faithful who struggle must realise that they are not alone, since they are accompanied by a cloud of Witnesses to the Faith. Being strengthened by them, the faithful are able to overcome every ‘hurdle’ and difficulty, thereby also avoiding sin, in which one can so easily be carried away. Following these necessary points of clarification made by way of introduction, we shall now attempt to present a series of the most significant developments which ‘sealed’, so to speak, the image of the Greek Orthodox Archdiocese of Australia from the time we held the 10th Clergy-Laity Congress, namely from January 2008 until today. In previous Keynote Addresses, we had presented, almost in chronological order, the establishment of new Churches, Schools and other Institutions of common benefit, as well as the expansion of older ones and their staffing with corresponding personnel. However, from the 10th Congress onwards, it was considered necessary – given that the above basic needs have now been met – for the Keynote Address of the Archbishop to draw the attention of the Delegates to the quality of the work that is undertaken. That is to say, to the functioning of the institutions in each locality. Accordingly, during the 10th Clergy-Laity Congress, the Keynote Address presented an extensive analysis of the importance and inviolability of the Institutions of the Synod, without which it is impossible to even speak about the Church. 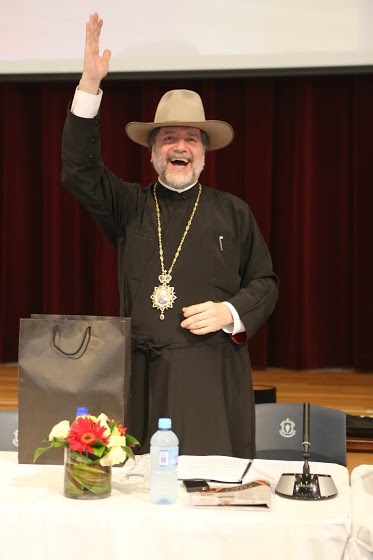 *At this 11th Congress, the Keynote Address must mention above all the elimination of the schismatic divisions which had prevailed in our two biggest States, namely Victoria and New South Wales, bringing a ‘new wind’ to our community affairs as a result. For, while the numbers of persons involved with these schismatic groups was, in both cases, almost negligible in comparison to the vast multitude who follow the Canonical Church of the Archdiocese, the customary propaganda created, over several decades, misleading impressions in Australia, as well as in Greece and overseas generally. In Melbourne, the Old Community, which had promised in writing to maintain all the conditions of their agreement to return to the Archdiocese during the days of the late Archbishop Ezekiel, did not unfortunately put any of this into practice. This was the case until, approximately one year ago, a new administration won the election, with solicitor Bill Papastergiadis as the new President wasting no time in restoring honourable collaboration with the Archdiocese, and this was welcomed by almost everyone. A contributing factor to this favourite outcome must have been the preceding eradication of the schism of the Commnity of St George in Hobart, Tasmania, that had appeared for a brief time. To achieve this, its new President John Fiotakis, a member of the younger generation, worked honourably with the Archdiocese. With reconciliation, not only did the Community Church of St George return to the jurisdiction of the Archdiocese, but also the magnificent Anglican Church of Holy Trinity (which had to be sold by its Trustees, as often happens), was offered to us for sale on very friendly terms for a symbolic sum. In this way, we acquired a Parish Church in the most prominent point of Hobart. 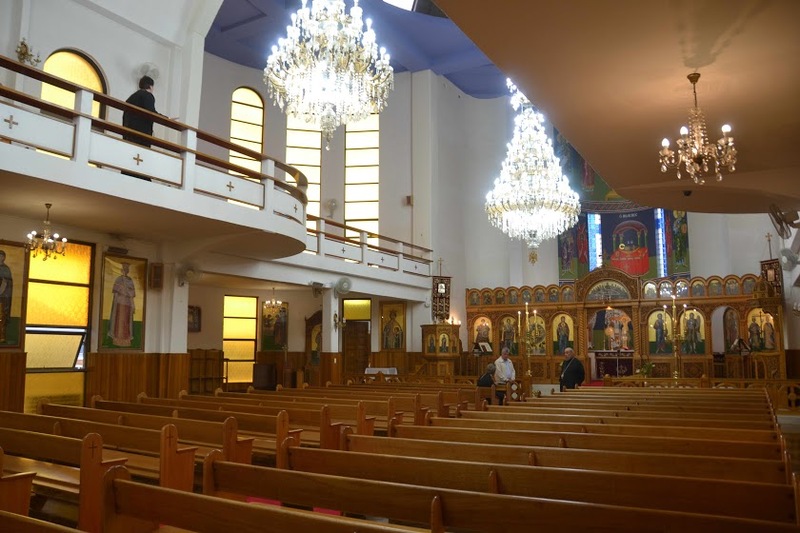 Father Timothy Evangelinidis was appointed accordingly to that church, while formerly schismatic Father Panagiotis Nikolakos was ordained and appointed to St George, and there is good cooperation between them. Mention should be made here of the astute handling of the entire matter by the Archdiocese through His Grace Bishop Ezekiel of Dervis and Mr Kon Kontis, President of the Parishes/Communities of Victoria, who on his accord hastened to pay for this purchase in memory of his Parents. 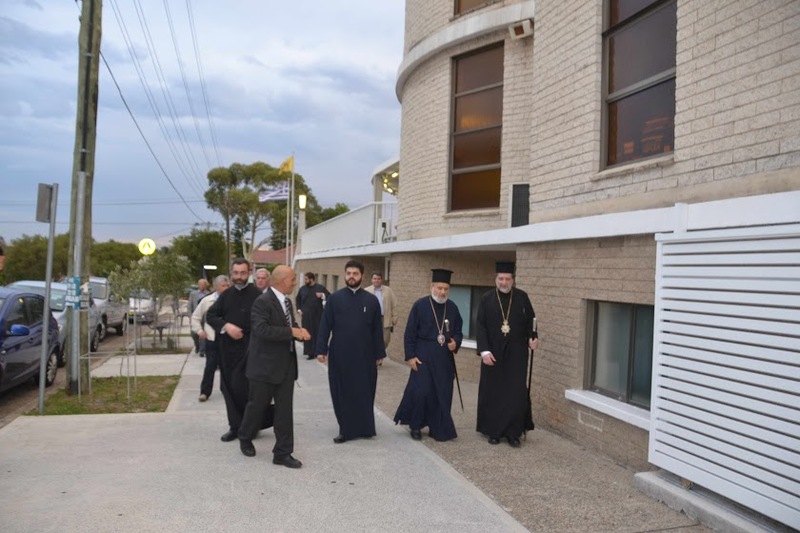 The Old Greek Orthodox Community of Sydney and New South Wales, which had broken away in 1972, was a much more difficult case, as the discussions for reconciliation that had commenced some 20 years ago during the author’s term of office, proved fruitless. 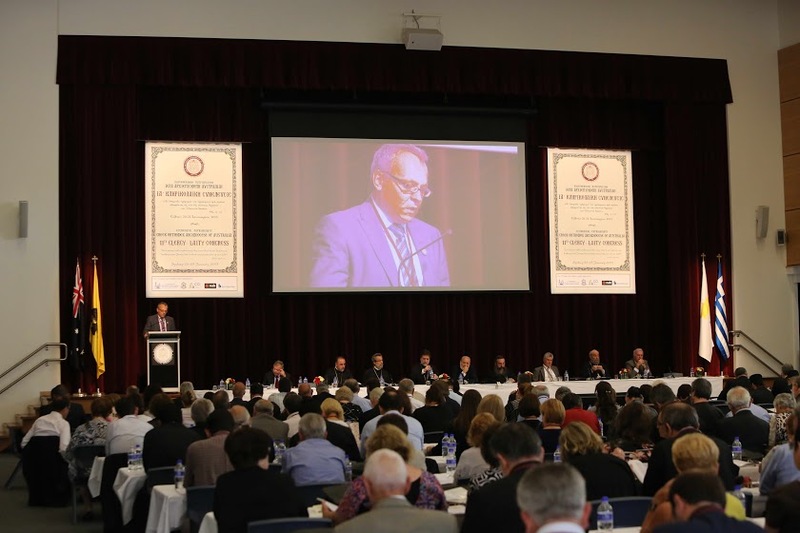 Fortunately, just over a year ago, through the praiseworthy initiative of the Administrative Committee chaired by solicitor Mr Harry Danalis, with the approval of 78.3% of the members at the General Meeting, together with the appropriate love and understanding of the Archdiocese (which was appreciated by all), the long-desired union was achieved. In this way, everyone rejoiced at seeing the joint celebrations of the national Anniversaries of 28th October and 25th March. It must be mentioned here also that the six-member Committee that conducted the discussions, under the chairmanship of His Grace Bishop Seraphim of Appollonias, worked with the utmost care and wisdom (the Committee was served, on behalf of the Community, by President Mr H. Danalis, Secretary Mr M. Tsilimos and Mr C. Belerhas, while on the part of the Archdiocese were His Grace Bishop Seraphim and Legal Advisers Mr Michael Diamond and Mr Nicholas Pappas). 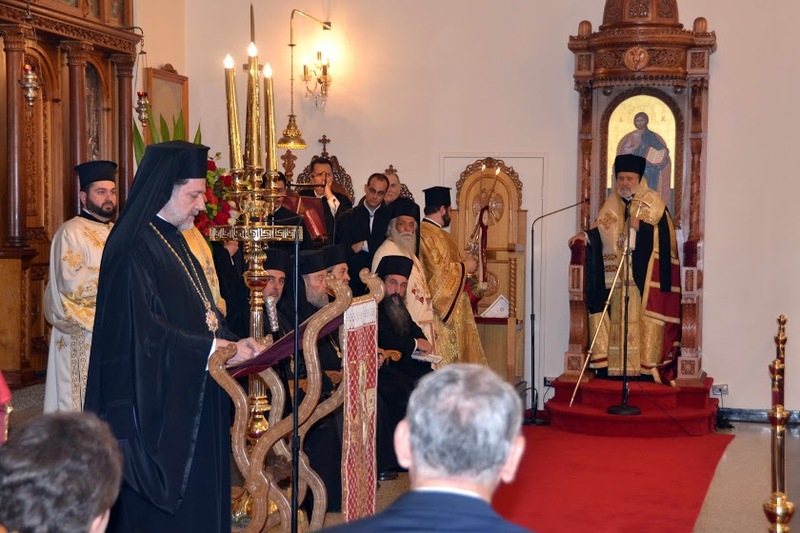 *The next topic is the festive celebration, in 2011, of the 25th Anniversary since the establishment of St Andrew’s Theological College and, with that blessed occasion, the Election and Ordination of the first Australian-born Bishop, His Grace Iakovos (Tsigounis) of Miletoupolis. We should note, in addition, that approximately 10 Clergymen have been ordained and appropriately appointed in the past 4 years. With regard to the program of studies in our Theological College, we should say that efforts have been made to always maintain the traditional four-year cycle of purely theological studies. However, in addition to this, various other courses of intensive study specialising in practical theology have been introduced, together with distance education via the internet. Special mention must be made of the annual Patristic Symposia of the Theological College held in September, whereby the life and theological contribution of some of the greatest Fathers of the early Church are examined individually each year. Until now, the three great Cappadocian Fathers (Basil the Great, Gregory the Theologian and Gregory of Nyssa) have each been presented, while last September the theme of the Symposium was Athanasios the Great. It needs to be underlined that the speakers at the Symposium were not limited to the academic staff of our College, but that they also included researchers of international repute from other countries and universities, both men and women. In this way, it became possible to increase our annual theological journal PHRONEMA to two volumes per year, as the second one now includes papers from the Patristic Symposia. A further successful expansion of the work of our Theological College is the grant we received, quite unexpectedly, from the Federal Government for $1.9 million. This came following our presentation to Mr Anthony Albanese, Minister for Infrastructure, of our plan from years ago to construct facilities at Bribie Island – close to Brisbane, and next to the already erected Chapel of the Mother of God – for special Youth Conferences and recreational camps, but also for popular lessons in Orthodox spirituality. The relevant grant was announced, on behalf of our Prime Minister Julia Gillard, during the celebrations for Greek Independence Day of 25th March, by the mentioned Minister Albanese. A grant of similar magnitude ($2 million) was announced personally several days earlier by Ms Gillard at the Greek ANTIPODES Festival of the Old Community in Melbourne. *A new leap forwards is expected for our St Basil’s Homes in Sydney as, in the near future, an enormous complex will be constructed in the area of Randwick in order to meet the great demand that has grown for some years now. 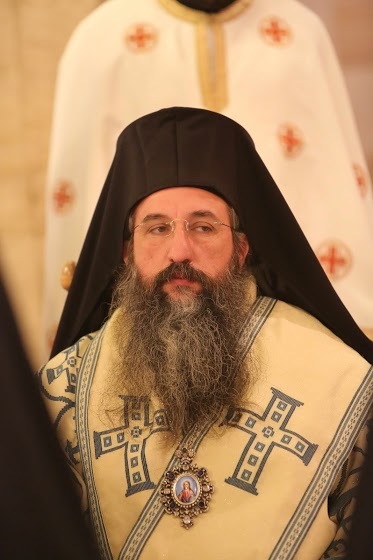 More important, however, is the fact that the new CEO Fr Nicholas Stavropoulos, who succeeded the ‘veteran’ and already retired Protopresbyter Fr John Kapetas, very soon became worthy of our expectations and needs, with the brotherly assistance of Fr J. Kapetas, especially in tasks such as confession and Public Relations. With similar admiration and pride in the Lord we have also observed for years now the highly innovative work that is developing, under the wise leadership of Mr Theo Bacalakis and his team, based in Cairns, North Queensland. Under the name ‘St John’s Community Care’ every need and deprivation of today’s fellow citizens are dealt with in a highly philanthropic way, by our blessed Parish of St John the Baptist, despite the fact that there are no more than 200 Greek Orthodox families in the region. Let it be noted that the new community care centres are continually being added in cities throughout north Queensland, always with the strong funding of the State and Federal Governments, who monitor the observance of all Regulations with great vigilance. *In Inter-Orthodox relations, we saw the introduction three years ago of the so-called ‘Episcopal Assembly’, following a proposal of the 4th Pan-Orthodox Pre-Synodical Meeting to the Ecumenical Patriarchate. This is a Synaxis of Bishops, called once a year in various geographic regions of the world by each Representative of the Ecumenical Patriarchate, is understood to be concerned with the problems of the ‘Orthodox Diaspora’, in order for the task of the forthcoming Holy and Great Pan-Orthodox Synod to be prepared for appropriately, and so that it can meet as soon as possible. Yet, a Synaxis of Bishops, which is not named and not considered a ‘Synod’, is for Orthodox Ecclesiology a completely incomprehensible institution. Consequently, the writer presented to the Ecumenical Patriarchate without hesitation, not only his reservations and concrete fears arising from the formation of this unprecedented body, but also the various forms of harm that the Representative of the Ecumenical Patriarchate, as ex officio co-ordinator and chairman of the Episcopal Assembly, would primarily be exposed to. At any rate, the ‘Episcopal Assembly’ is clearly a direct borrowing from the Roman Catholic church, after Vatican II, wherein there is a harmonious collaboration of Bishops and general disciplined behaviour towards one another is assured by the very nature of papal primacy. In our context, however, there is complete immunity and chaos among the Orthodox Diaspora. 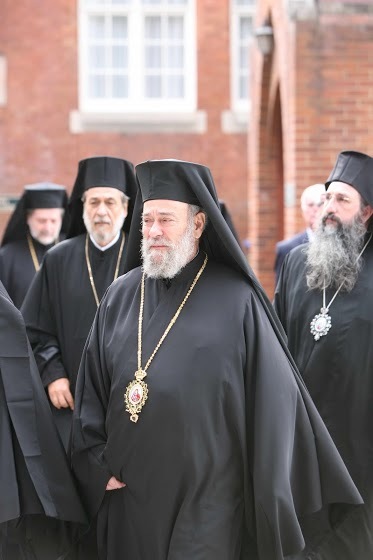 Not withstanding this, and despite the problems that could arise from the annual ‘Episcopal Assembly’, we considered that it would not be prudent to avoid it, and so the Episcopal Assembly of ‘Canonical Orthodox Bishops of Oceania’ has already been convened three times, in 2010, 2011 and 2012 respectively. It should be added that neither the members of the Assembly, nor the ‘canonicity’ of each, could be evaluated with precision from the outset, without the existence of a common criterion that is accepted by all. Consequently, we should acknowledge that the value of the mentioned Body is mainly limited to mutual acquaintance in person and to the sharing of information between the various jurisdictions. In so doing, they will be in a better position to offer their respective surroundings the witness of a unified Orthodox presence. Following this brief presentation of the developments in the life of our Archdiocese that have taken place between January 2008 and the present, I consider it my duty to thank and warmly congratulate my honourable and God-pleasing co-workers in the overall task of our Archdiocese. I would also like to wish each person every blessing from God, for the continuation of our joint effort to the glory of God and the service towards His people. First of all, then, I express my grateful thanks to the venerable Centre in Phanar, Constantinople, particularly His All Holiness our Ecumenical Patriarch Bartholomew, for the brotherly understanding and assistance given by all means and at all times. Next I would like to thank my four Assistant Bishops, Their Graces Ezekiel of Dervis, Seraphim of Apollonias, Niandros of Dorylaion and Iakovos of Miletoupolis, together with my Personal Secretary the Very Reverend Archimandrite Kyrillos Zissis, and all who serve in the central offices of our Archdiocese and our Theological College, men and women, clergy and lay people. I especially thank the members of the Archdiocesan Council, and our Legal Advisers, with whom collaboration has become so necessary on a daily basis. It is self-evident that sincere acknowledgement and related gratitude of the humble speaker, as your spiritual Shepherd, is owed to all our Clergy and lay people serving around Australia (whether in Parish-Communities and Holy Monasteries or various charitable institutions and other ecclesiastical organisations). 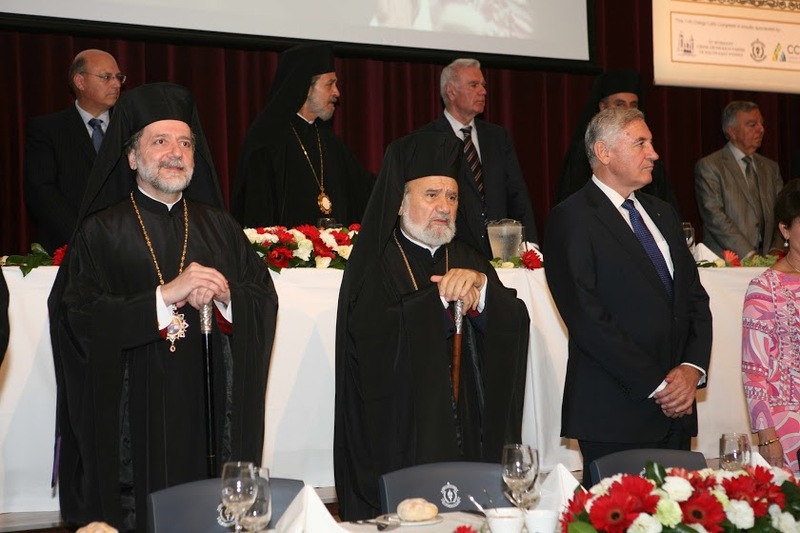 I would like to especially thank our Official Guests: the Patriarchal Representative His Eminence Metropolitan Nicholas of Detroit, His Eminence Metropolitan Evgenios of Rethymnon, Professor Nicholas Xexakis, diplomatic representatives of Greece headed by the Ambassador to Australia Mr Haralambos Dafaranos, the representative of our State Government and Minister for Tourism the Hon. George Souris, other representatives of Australian authorities and organisations, as well as all our institutional colleagues in the daily struggle for Truth and Justice, together with the representatives of the media and youth in the Antipodes. Finally, I would like to thank most warmly the Organising Committee of this Clergy-Laity Congress under the tireless Chairmanship of the Vicar-General His Grace Bishop Seraphim of Apollonias, and the Parish-Community of St Spyridon for hosting all of us once again, together with all our Parishes and Communities who collaborated so well, those who supported the event financially, and all generally who have contributed in any way to the success of our Clergy-Laity Congress that now commences with many blessings. Amen. *1. 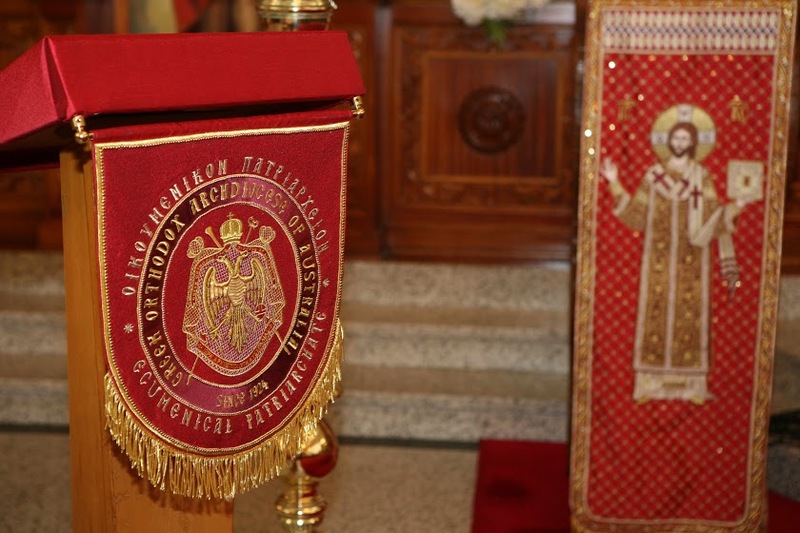 That it remains steadfastly devoted, with the deepest respect of our Clergy and Laity, to the Most Sacred and Martyric Ecumenical Throne and to its Prelate, His All Holiness Ecumenical Patriarch Bartholomew, and the Holy and Sacred Synod of Constantinople. *2. That it concurs with and supports completely the genuine efforts of His All Holiness the Ecumenical Patriarch, with his executive co-workers, for the preservation of the inviolable rights of the Great Church of Christ over the centuries. In stating this, we do not refer only to the title ‘Ecumenical’ which is, at any rate, internationally recognised, nor only to the re-opening of the renowned and historic Theological School of Halki. We also refer to the inviolability of all freedoms to which the Greek community in Turkey, together with its institutions and all of its properties, is entitled. *3. That it is closely following the continuing financial crisis in Greece, and endorses the initiatives of its Prime Minister Mr Andonis Samaras and the coalition of the governing political parties, while wishing a rapid financial recovery and stating that the Greek Orthodox Archdiocese of Australia will continue to offer moral and material assistance toward our sisters and brothers who are suffering. *4. That it expresses ain for the yet unresolved solution to the Cyprus problem which has continued for decades, and supports the just struggle of the Church and State of Cyprus. *5. 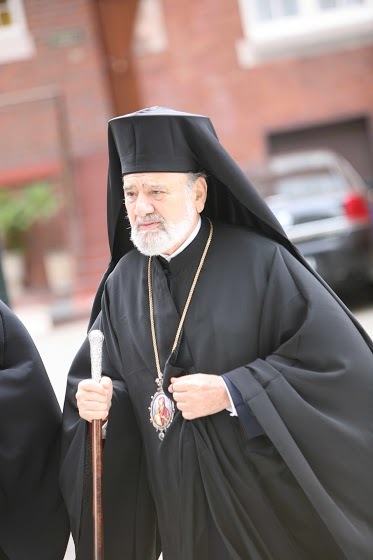 That it is deeply concerned with and protests the continued captivity behind bars of His Eminence Archbishop John of Ochrid (of the Serbian Orthodox Church), which is a dnial of human rights and religious freedom, as resolved at the Episcopal Assembly of Canonical Orthodox Bishops held in October 2012, under the Chairmanship of His Eminence Archbishop Stylianos. *6. 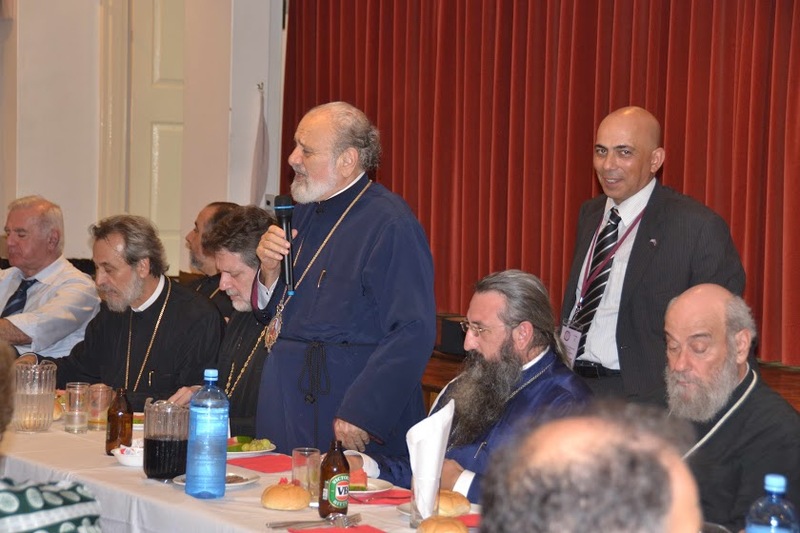 That it greets the participation in this Clergy-Laity Congress of the Greek Orthodox Community of Sydney and New South Wales, which has recently returned to the canonical Church, and send a message of unity to the few schismatic groups still remaining. 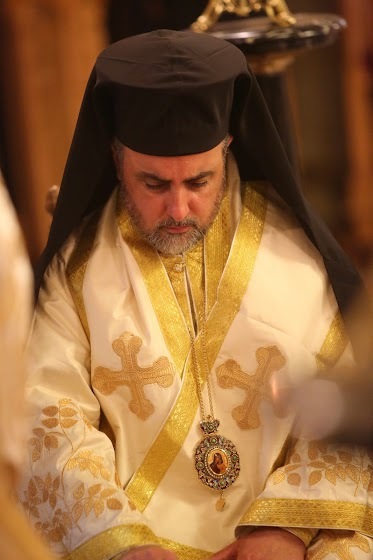 7:30-11:00am – Concelebration of all Hierarchs at the Cathedral of the Annunciation of the Theotokos, Redfern, presided by His Eminence Archbishop Stylianos of Australia. 11:30-12:30pm – Registration of interstate delegates and Reception in the Cathedral Hall. 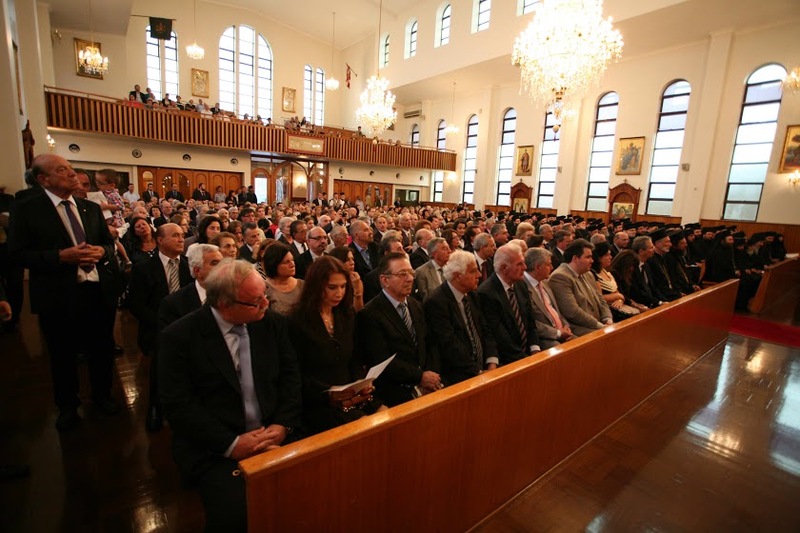 19:00pm – Opening Service at the Church of St Spyridon, Kingsford, conducted by His Eminence in the presence of the Patriarchal Representative, State dignitaries, Consular officials, representatives of other Orthodox Churches, and all Clergy and lay delegates of Parish-Communities throughout Australia. 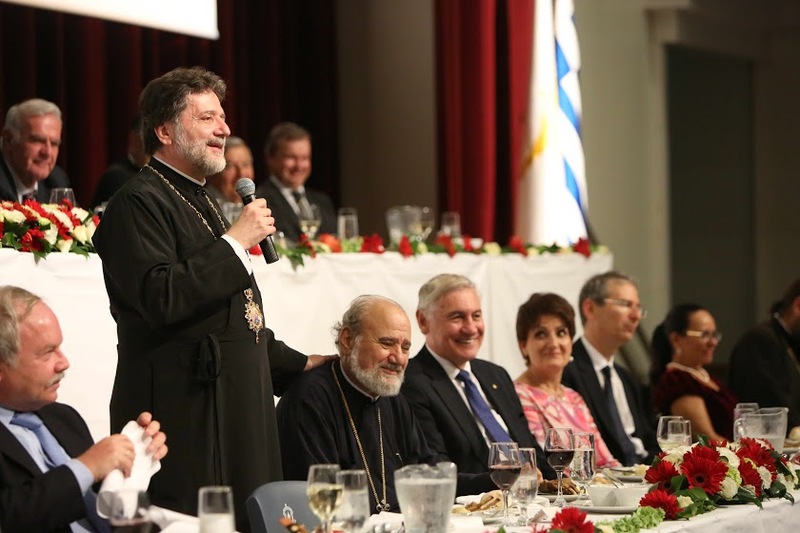 20:00pm – Official Dinner in the new Hall of St Spyridon College, Maroubra. 8:00am – Registration of late arrivals. 9:00am – Brief Prayer for the Commencement of the Congress. Greeting of the Patriarchal Representative, His Eminence Metropolitan Nicholas of Detroit. 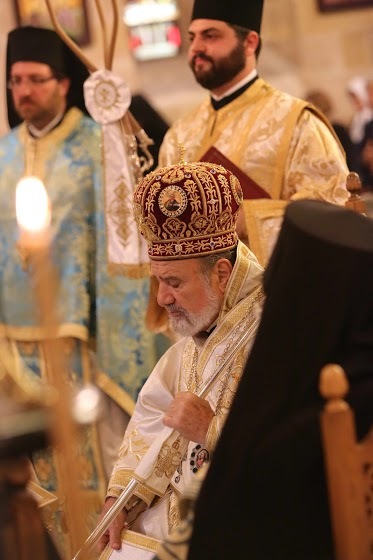 9:30-10:15am – Keynote Addres of His Eminence Archbishop Stylianos Pheme of His Eminence. 10:15-10:40am – Address by Emeritus Professor Nicholas Xexakis of the Theological School, University of Athens, on ‘The freedom of the human person’. 11:20-11:30am Election of a Supervisory Committee and nominations for the Archdiocesan Council. 11:30-12:00pm – Financial Report by Mr Stan Palassis, Co-Vice Chair of the Archdiocesan Council and member of the Finance Committee. *2. Orthodox Day Schools by Mrs Efrosini Stefanou, Head of St Spyridon College, Sydney. *3. Afternoon Schools by Dr Haralambos Ladopoulos, Head of St John’s College, Melbourne. *4. University Chaplaincies by His Grace Bishop Iakovos of Miletoupolis. *5. Youth by Archim. Fr Sophrony Konidaris, Parish Priest of the Church of the Resurrection of Christ, Kogarah. *6. Special Religious Education in State Schools (Scripture) by Professor James Athanasou, responsible for Curriculum and Training of Scripture Teachers. *7. Sunday Schools by Dr John Psaromatis, responsible for Sunday Schools Programmes in NSW. *8. Pastoral Matters (Chaplaincy) by Rev. Fr Lysimachos Kostoglou, Parish Priest of St Gerasimos, Leichardt. *9. Missionary Work by Rev. Fr Constantine Varipatis, Parish Priest of St Stylianos, Sutherland. *(IV.) Bribie Island St Andrews Camp (Retreat and Recreation Centre), By Mr John Panarets, Chair. *(V.) In Brisbane: Mrs Angela Andronis, Director. 8:15am – Departure from the Hotel by bus. 8:45-10:00am – Committee Reports – Discussion of the general topics by the delegates. 14:30-15:30pm – Visit to the Central Offices of the Archdiocese, the Cathedral, the Theological College and the Book Centre.